Need a cab in Kansas? You'll have to hail one the old-fashioned way. Uber isn't in Kansas anymore. It stopped operations there Tuesday after the state legislature approved a new law the company says makes it "impossible" to keep operating. Kansas legislators voted to override Gov. Sam Brownback's veto of new, stricter regulations on companies like Uber, that allow people to hail a ride with an app on their smartphone. The governor said the new rules are "premature." "To over-regulate or improperly regulate an emerging industry before the marketplace actors make proper arrangements is to invite more, problems, not less," he said in April, when he vetoed the legislation. Uber first launched in Kansas about a year ago. The company was actually on board with the original draft of the new rules. It required Uber to disclose certain information to customers, including how fares are calculated and the driver's license plate number before they get in the car. Uber already does those things in its app. 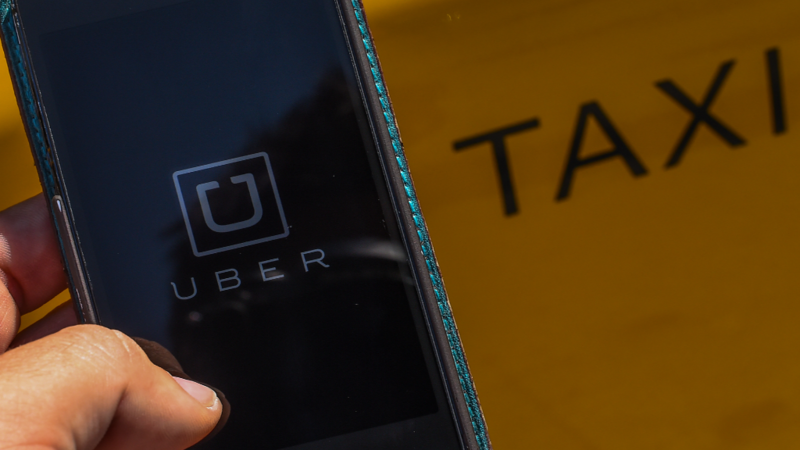 But, the final bill also requires Uber drivers to carry a level of insurance that the company said is not required in any other state. Uber called the regulation "anti-competitive" and said it destroyed hundreds of jobs. But, with a nod to the state's motto "Ad Astra Per Aspera" (translation: to the stars with difficulties), it hopes to be up and running in the state again someday.